Jeff DeBoer has been at the forefront of national policy affecting the real estate industry for the past thirty-five years. 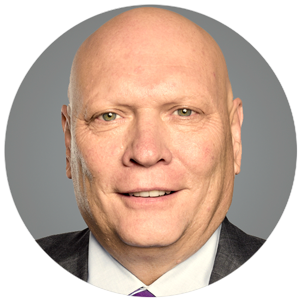 He is the founding President and CEO of The Real Estate Roundtable. excess of 2.5 million hotel rooms. Participating trade associations represent nearly than 2 million people directly employed in the real estate industry. Mr. DeBoer also chairs the National Real Estate Organization, a 20 member real estate trade association coalition focused on industry communication, advocacy and diversity efforts. He also serves as Chairman of the Real Estate Industry Information Sharing and Analysis Center (RE-ISAC), an organization dedicated to enhancing communication between the industry and federal policymakers terrorism threats, building security, and major incident reporting. He is a founding member of the steering committee of the Coalition to Insure Against Terrorism (CIAT) and he co- chaired the Advisory Board of the RAND Corporation’s Center for Terrorism Risk Management Policy. Mr. DeBoer also served on the Advisory Board of Washington DC’s Smithsonian National Zoological Park and Conservation Biology Institute. Mr. DeBoer holds degrees from Washington and Lee University School of Law (JD) and from Yankton College (BA). He is a member of the Virginia Bar Association; the American Bar Association; the Historic Georgetown Club; the City Club of Washington; Belle Haven Country Club and Old Dominion Boat Club.